Ear-deafening guitars, screeching vocals and thunderous bass in all their glory, but at the end of the day, a rock song is only as good as its heartbeat – the groove. 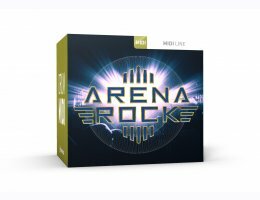 With the Arena Rock MIDI pack, we reclaim center stage and let the floodlights shine on the drummer. This is the ultimate collection for fans of every stripe of big, earth-shattering rock where the beat is not only important, but pivotal.